Derry City's Jamie McDonagh is set to serve another suspension. 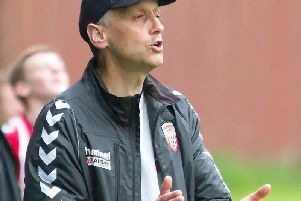 DERRY CITY winger, Jamie McDonagh is set to serve another suspension after receiving a second yellow card in the tunnel following the club's feisty north west derby against Finn Harps. McDonagh, who has missed six weeks of the season and recently returned from a four match ban for an incident against Shamrock Rovers last February 22nd, was shown an additional yellow card by match referee, Neil Doyle as the teams made their way off the pitch at the end. The Lisburn man was shown his first yellow card for dissent after Mr Doyle awarded Harps a penalty in the dying moments of the game. Having returned for games against Longford Town and Finn Harps, McDonagh is now expected to now sit out Friday's match against UCD at the Belfield Bowl as the FAI today confirmed the referee had reported a second bookable offence by the player. Friday's derby was marred by controversy after Colm Deasy's x-rated tackle on Derry defender, Ciaran Coll while City's 'excessive' celebrations were called into question by Harps. 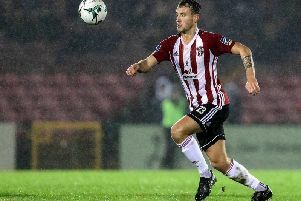 The two teams are set to meet twice in the space of three days at the end of May at the Ryan McBride Brandywell Stadium after being paired together in the EA Sports Cup quarter-final draw on Monday.